If wellbeing came in a bottle, what would it look like? Probably a lot like La Eva, the new organic soap and lotion line by former psychologist Louisa Canham. 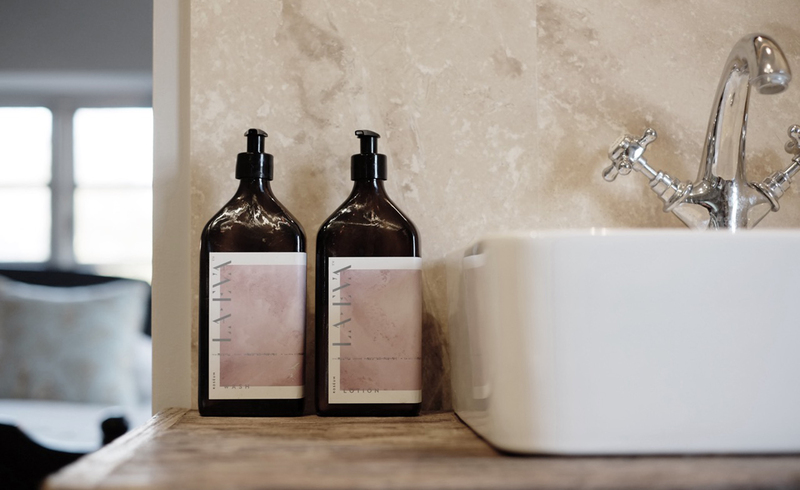 With La Eva, Canham has melded her skincare with a holistic philosophy, creating a product that is a perfect blend of the soapmaking and medical practices. Her work in skincare began as a way to relieve the pressures of her job as child psychologist, which often required her to deal first hand with young refugees, criminal offenders, and sufferers of mental illness. Exhausted by this demanding position, Canham transformed soapmaking into a therapeutic exercise that allowed her to achieve the contentment she provided to others. The line launches this month carrying one of two scents – ‘Blu,’ a sharper, masculine scent, and ‘Roseum’, a delicate, sensual fragrance. They fragrance washes and lotions that can be used with equal effectiveness on the face and body. Packaged in brown bottles reminiscent of apothecary potions and decorated with dreamy paintings by Rosie-Marie Caldecott, La Eva is sure to sooth even the weariest among us.